The mango is an excellent nutritional source, containing many vitamins, minerals, and antioxidants (2). 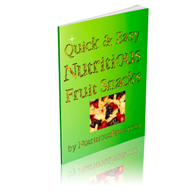 It contains enzymes such as magniferin and lactase which aid in digestion and intestinal health. It is also used in some parts of Southeast Asia and the Muslim world as a supplement for sexual potency (4). Mangiferin, a potent antioxidant found in mangoes, also has antiviral, antiproliferative, immunomodulatory, and antidiabetic properties. Recent studies have also shown that mangiferin has the ability to inhibit iron overload during oxidative stress and lipid perxoidation of the liver. Mangiferin appears to decrease iron overload by causing the liver to excrete excess iron (3). Future studies performed on mangiferin may prove that this extract can be used as a therapeutic agent for iron related diseases. Mangoes contain vitamins A and C as well as beta-carotene. 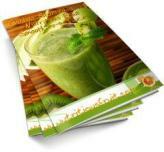 Mangoes have an extract called Vimang, whose major component is mangiferin. Mangiferin is a glucosylxanthone that has been shown to have antioxidant, antiviral, anticarcinogenic, immunomodulatory, and antidiabetic properties (1), (5). The mango is reputed to be the most commonly eaten fresh fruit worldwide. 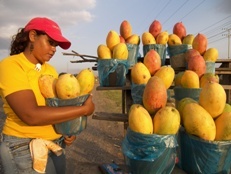 Ripe mangoes are extremely popular throughout Latin America. In Mexico, sliced mango is eaten with chili powder and/or salt. Street vendors sometimes sell whole mangoes on a stick, dipped in the chili-salt mixture. In Indonesia, green mango is sold by street vendors with sugar and salt and/or chili. 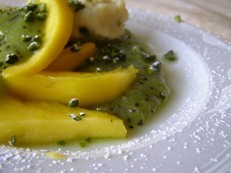 Green mangoes may be used in the sour salad called rujak in Indonesia and rojak in Malaysia and Singapore. Green mangoes are fairly popular in El Salvador, Guatemala, Honduras, Nicaragua, and Ecuador. They have a sharp, brisk flavor like that of Granny Smith apples. Vendors sell slices of peeled green mangoes on the streets of these countries typically with salt. Pickled green mango slices are a delicacy in Hawaii. 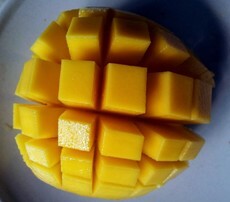 Mangoes can also be made into jelly, jam, and custard. They can also be baked into cakes, pickled, or put into salads. Mango juice can also be used as a substitute for sugar. Mangoes retain a special significance in the culture of South Asia where they have been cultivated for decades. 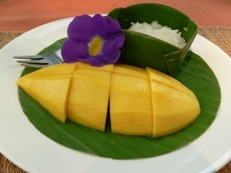 Mangoes, in particular, have been the national symbol of the Philippines. References to mangoes as the "food of the gods" can be found in the Hindu Vedas and the leaves are ritually used for floral decorations at Hindu marriages and religious ceremonies. The name “mango” is from the Tamil/Malayalam word “Manga”, which was popularized by the Portuguese after their Indian exploration. Mango trees are usually quite large and are capable of growing above 40 meters in height with a crown radius of 10 meters. The leaves, which are evergreen, have been documented to reach 15-35 cm long and 6-16 cm wide. Young mango leaves are orange-pink, but rapidly change to a dark glossy red and then dark green as they mature. The flowers are produced in terminal panicles and have been documented to reach 10 cm wide and 40 cm long. Each flower is small and white with five petals that have a mild sweet odor similar to the lily of the valley. After the flowers blossom, the fruit takes approximately three to six months to ripen. The mango fruit has been given the label drupe because when it is mature, it hangs from the tree on long stems. Mango trees are easily cultivated and there are now more than 1,000 cultivars, that ranges from the turpentine mango to the huevos de toro mango. 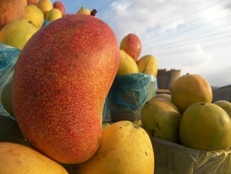 The turpentine mango has the strong taste of turpentine, which according to the Oxford Companion of Food suggests is contained within some varieties of mangoes. The huevos de toro mango or “bull’s balls” was given its name because of its shape and size. Mangoes have also proven their ability to naturalize in tropical climates by dominating lowland forest in Hawaiian Islands. Mango trees can even been seen in the backyards of many South Floridians. The mango is a popular fruit with people around the world. However, due to its abundance, many mango farmers receive a low price for their produce. This has led to mangoes being available as a fair trade item in some countries. India is by far the largest producer of mangoes, with an area of 16,000 km² producing 10.8 million tons annually. This number accounts for 57.18% of the world’s total mango production. Within India, the southern state of Andhra Pradesh is the largest producer of mangoes, with 3,500 km² under cultivation. In the country's north part, Uttar Pradesh state dominates the mango production. 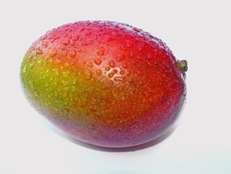 The mango, written in plural form as mangoes or mangos, is a tropical fruit that belongs to the genus Mangifera. It comes from the family of flowering plants known as Anacardiaceae, which consists of approximately 30 mango tree species. The exact origins of the mango are unknown, but most believe that it is native to Southern and Southeast Asia due to the wide range of genetic diversity in the region and fossil records that date back as far as 25 to 30 million years ago. Currently, mango trees are commonly cultivated in tropical and subtropical climates of the Caribbean, India, North America, South America, Central America, Australia, Southeast Asia, and Africa. Andreu GP, Delgado R, Velho JA, Curti C, Vercesi AE. 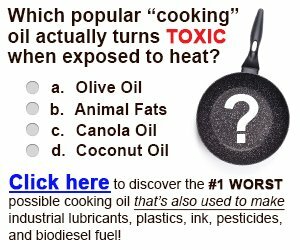 (2005) Iron complexing activity of mangiferin, a naturally occurring glucosylxanthone, inhibits mitochondrial lipid peroxidation induced by Fe2+-citrate. European Journal of Pharmacology, 18;513(1-2):47-55. 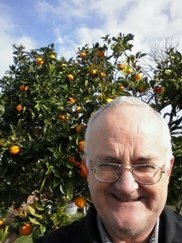 Pardo-Andreu GL, Barrios MF, Curti C, Hernández I, Merino N, Lemus Y, Martínez I, Riaño A, Delgado R. (2007) Protective effects of Mangifera indica L extract (Vimang), and its major component mangiferin, on iron-induced oxidative damage to rat serum and liver. Pharmacological Research, Dec 27 [Epub ahead of print]. Yoshimi N, Matsunaga K, Katayama M, Yamada Y, Kuno T, Qiao Z, Hara A, Yamahara J, Mori H. (2001) The inhibitory effects of mangiferin, a naturally occuring glucosylxanthone, in bowel carcinogenesis of male F344 rats. Cancer Letters, 163(2):163-70.